Channeling the color of a clear summer sky, this combo abounds with the eternally happy calibrachoa, petunias and verbena that enthusiastically mix together in this lovely arrangement. 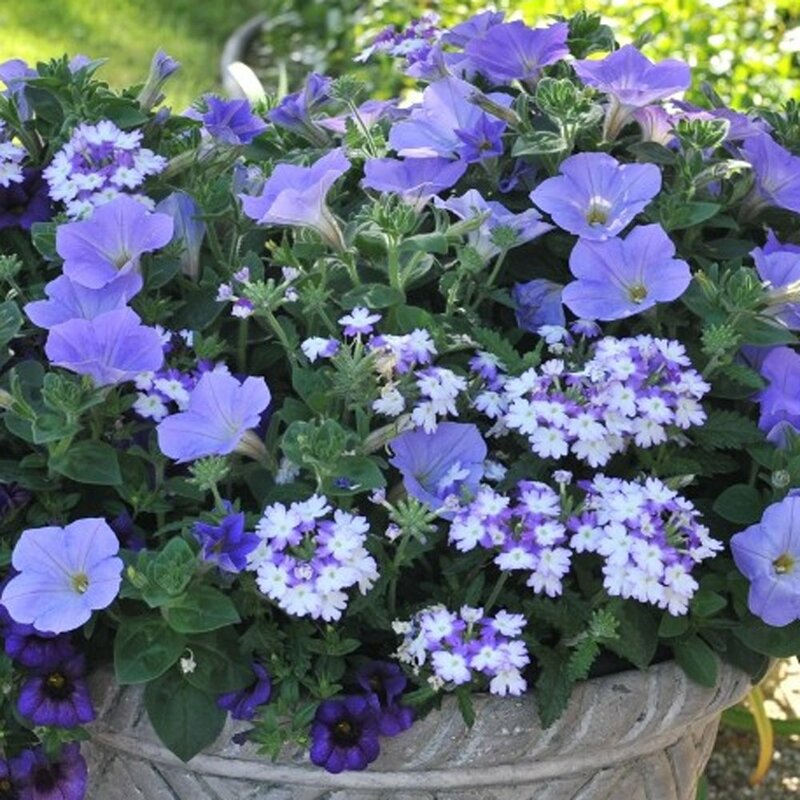 Our 'Confetti Garden Shocking Blue' plants are grown and shipped in fine quality growing medium and are guaranteed to arrive alive and ready to thrive. Comment: I mixed this with Blue Bacopa and it looks just beautiful. Comment: These beautiful flowers have already doubled in size! Well packaged and received in a delightful healthy state.